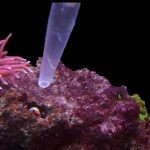 The Horniman Museum and Gardens’ pioneering coral reproduction work, Project Coral (as seen on BBC One’s Blue Planet UK, yesterday), has this week taken a step closer to having real-world benefit for coral reef conservation, thanks to international partner The Florida Aquarium. Staff at The Florida Aquarium’s state-of-the-art coral conservation nursery in Apollo Beach, Florida have set up new tanks – using Project Coral’s techniques and processes – which from this week will be home to corals from the Florida Reef Tract. 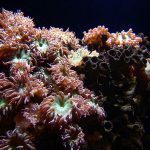 The corals will be kept in conditions identical to the wild reef using the husbandry protocols pioneered at the Horniman in South London, until they spawn in August in time with the wild spawning. 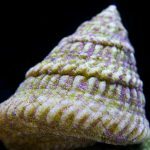 The Florida Aquarium’s researchers will then cross-fertilise the corals to create new ‘recruits’ or baby corals, replicating the achievement of Jamie Craggs’s team at the Horniman in 2015. The new corals will be reared in the conservation nursery until they are big enough to have a good chance of survival in the wild. They’ll then be added to the wild reef to aid in its restoration. Three coral species are part of The Florida Aquarium’s project – Pillar Coral (Dendrogyra cylindrus); Staghorn Coral (Acropora cervicornis) and Maze Coral (Meandrina meandrites) – two of which (Pillar and Maze Corals) have been severely affected by the current disease outbreak on the Florida reef. 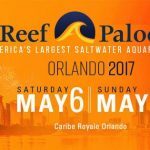 Keri O’Neil, The Florida Aquarium’s Coral Nursery Manager, says: ‘The coral conservation team have been working hard to finish the final set-up of our Project Coral laboratory spawning aquariums, and programming all of the sunrise, sunset, moonrise, moonset, spectral and temperature information into our controllers. Now that the systems are running well, we’re excited to see them populated with corals, ready for spawning this summer. This project is a “head start” program for coral – we will raise the juvenile corals long enough to give them a better chance of survival than they would have had as larvae in the ocean. For some fast-growing species, this could be as little as eight months before they are ready to be rehomed on the wild reef.’ Jamie Craggs, Aquarium Curator at the Horniman Museum Gardens and lead researcher for Project Coral, says: ‘Thanks to The Florida Aquarium, we’re now at the point where our work will begin to make a tangible difference to coral reef restoration, and it’s incredibly exciting that Project Coral ‘babies’ will be added to Florida’s wild reefs in 2020.’ Here check out our video of Keri O’ Neil from Florida Aquarium here. 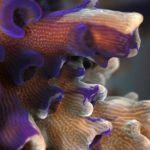 Reefs.com Conservation series : Saving Atlantic Corals. This year, through couple of interviews and me personally mentioning it on videos that it will be year that I will strongly focus on aquaculture, conservation, sustainable efforts and education. Why is that important? Our video of Jamie Craggs here.